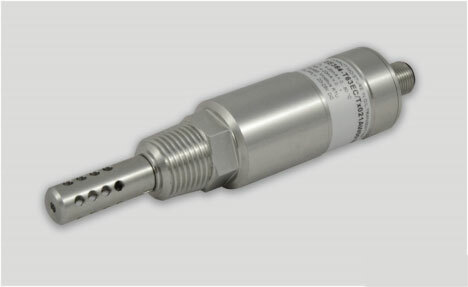 The EE364 is an innovative moisture in oil transmitter, suitable for OEM applications. The high measurement accuracy and excellent long-term stability make the EE364 ideal for online monitoring of moisture in transformer, lubricating and hydraulic oil, as well as diesel fuel. The compact design and rugged stainless steel housing allow a space-saving installation in the most demanding applications. The EE364 measures water activity (aw), oil temperature (t) and calculates the absolute water content (x). The measured values are available on two 4-20mA outputs and one digital output with MODBUS RTU interface. The analog outputs can be individually scaled and configured using the optional converter cable and the free EE-PCS Product Configuration software.